You are here: Home / Life Coaching / Stop trying to find a great mentor. Do this instead to advance your career and life. I can tell within 2 seconds of asking that question whether our mentoring session will be of any use to me or the mentee. The mantra of those who give great advice on how to advance, improve, get anywhere in life. And it is great advice. Otherwise, why would the same advice be dispended over and over again on blog after blog after article after article ? All wonderful advice but then what? And then it dawns on you. You know less about being a mentee than the mentor knows about being a mentor. Because let’s be honest, you chose the mentor for their awesomeness in some area. Business, leadership, marriage, finances, whatever. You might have gotten lucky and accidentally chosen a mentor who has a history of mentoring. You know less about being a mentee than the mentor knows about being a mentor. The odds are though that your mentor might not be an expert at mentoring. And you walk out of your mentoring sessions disappointed, with maybe a book to talk about together. Three sessions later, you find yourself dreading the mentoring sessions and wondering why you asked in the first place. You begin to sense your mentor may have the same feeling. How then should one approach a mentor, particularly someone who doesn’t have a lot of experience mentoring but is excellent in his or her field? I’m sure the first year was pretty much a waste of their time. For the last three years, I’ve been privileged to have a couple dozen young people sit in my office and ask for mentoring. I’m sure the first year was pretty much a waste of their time. Until I discovered this tool. I ask everyone to come with a question. The question can be about anything of interest to them. The question must be something they genuinely want to learn. If my mentee comes with a question I don’t have the answer to, I can hopefully refer them to books or articles to read. Walking out of my office without a reading list is pretty much impossible. Because I’m generally not the expert, but I can point you in the right direction. By framing your mentoring experience about real, relevant questions that are of interest to the mentee, the mentor feels like they are truly adding value. The mentee in turn walks away more engaged. What kind of questions should you ask a mentor? “Tell me about life” is too vague. “What steps did you take during the recession in 2008 to secure your assets?” Much better. Ask questions above your learning level. “What would you do in my position?” is a question that will only get you information about being on the level you are at. A mentor hopefully operates at a higher “level” whatever that means to you. Ask questions that reflect thinking to the point where you no longer know the answers and need genuinely new thoughts, not opinions that confirm your thinking. “I saw company Q has 2 CEOs. 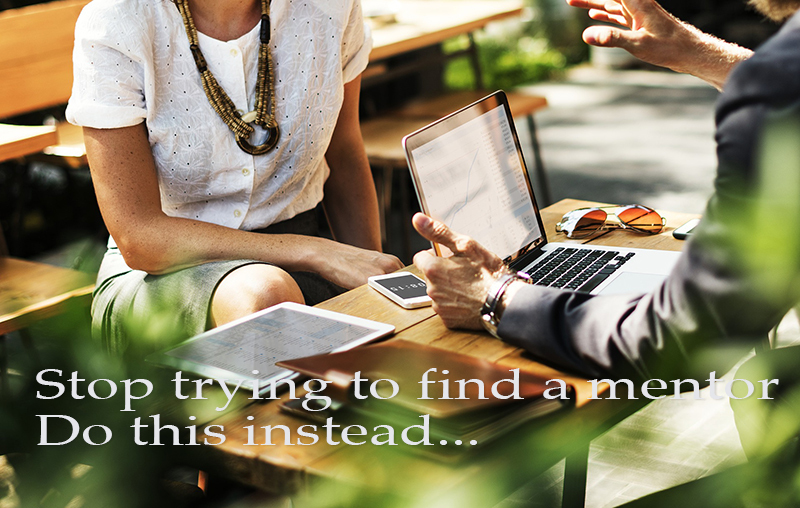 Have you run into this, and how do you make it work?”Leveraging the Mentor’s expertise will gain you the most benefit from the relationship. Oftentimes the key to finding a good mentor is being a prepared mentee. Doing your homework as a mentee will show the mentor that you value the investment of time. Consider the profession of the mentor. Would you pay their hourly rate to have the same conversation? What questions would you bring to a mentoring session?